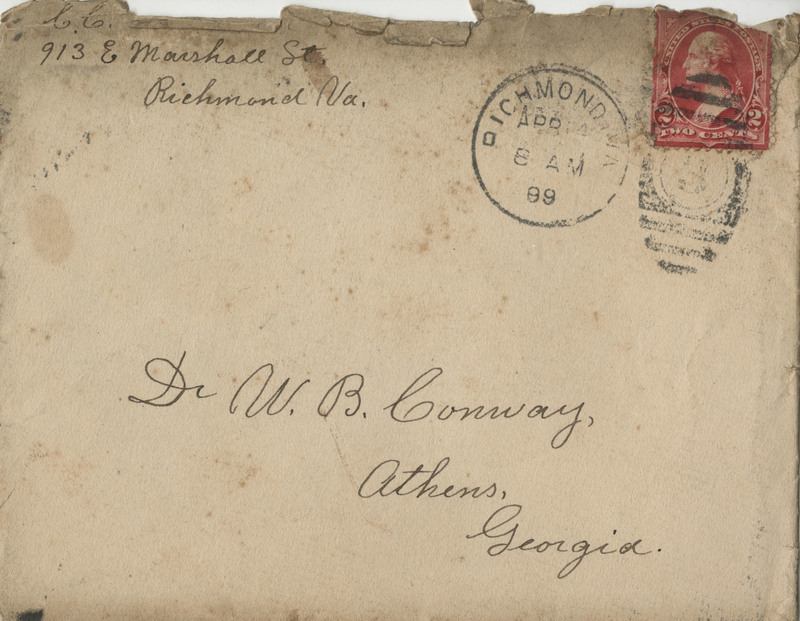 Subject is exactly "United States--History--Civil War, 1861-1865"
Letter from Catlett Conway to Willie, recounting his visits with family members in Washington D. C. and Charlottesville. 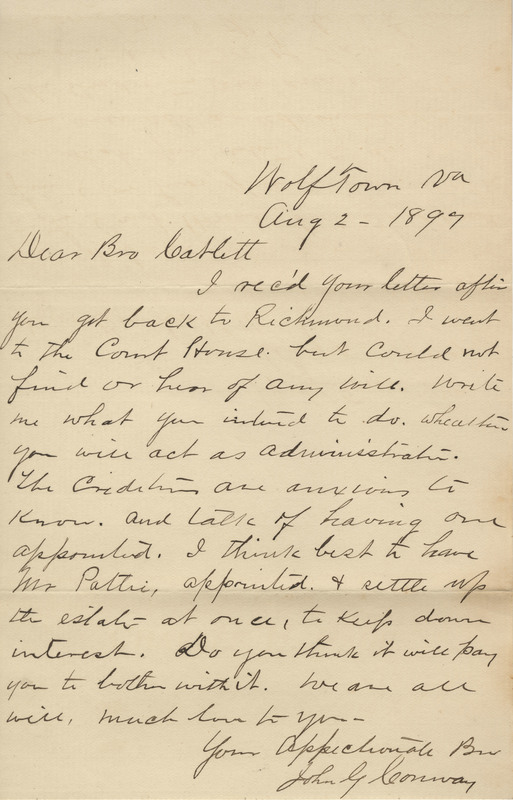 Letter from Catlett Conway to Willie, sharing his thoughts about labor unions and the economy as well as defences of President Woodrow Wilson. 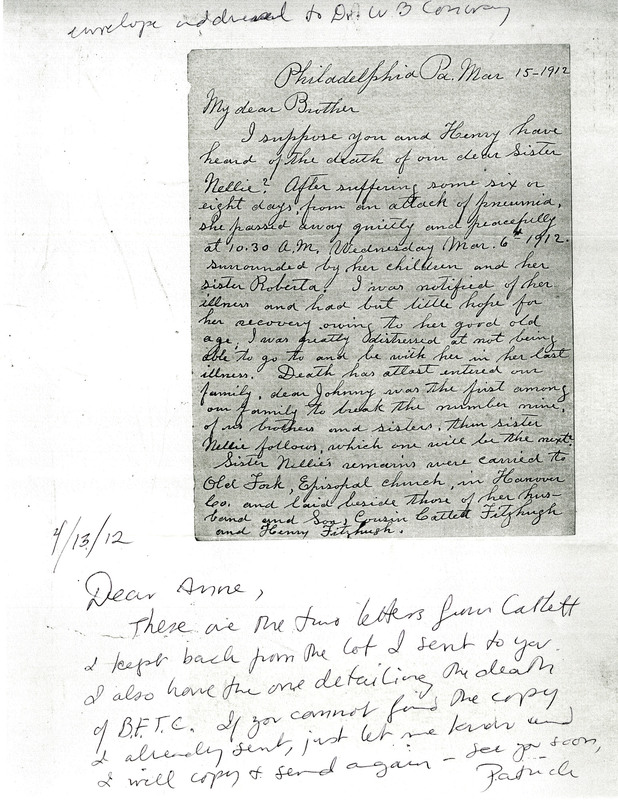 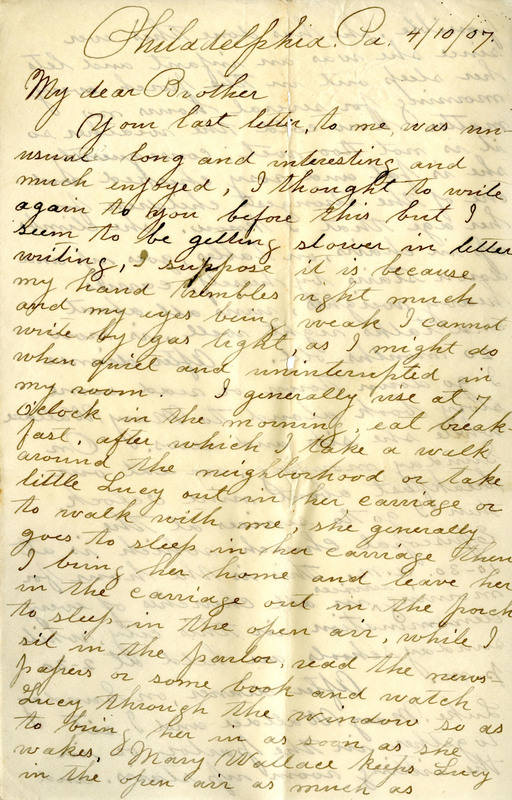 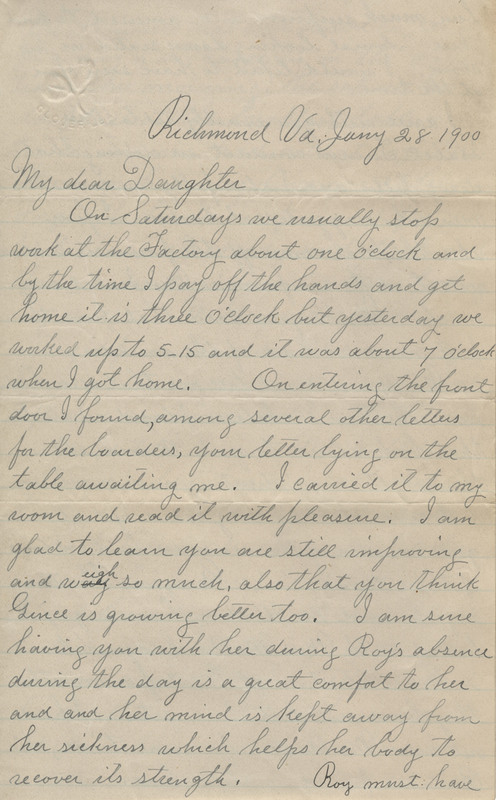 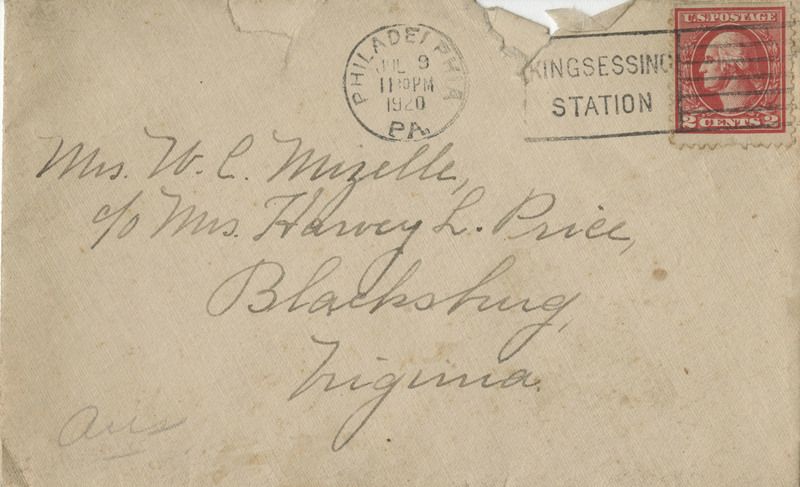 Letter from Catlett Conway to Willie, detailing his visit to his daughters and their husbands in Baltimore and Cincinnati. 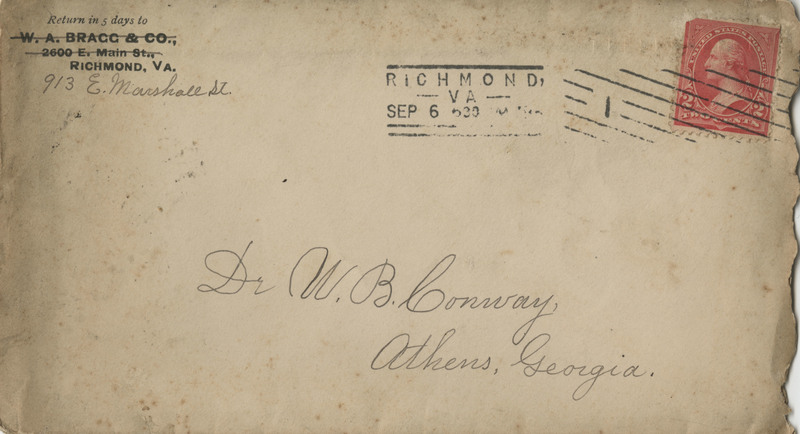 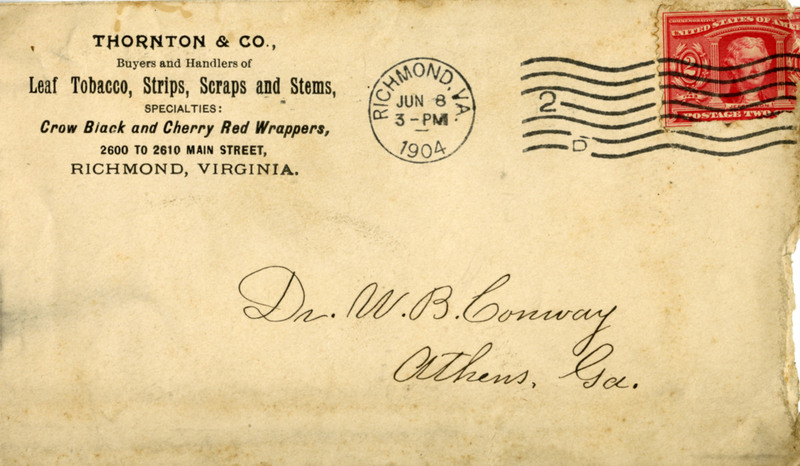 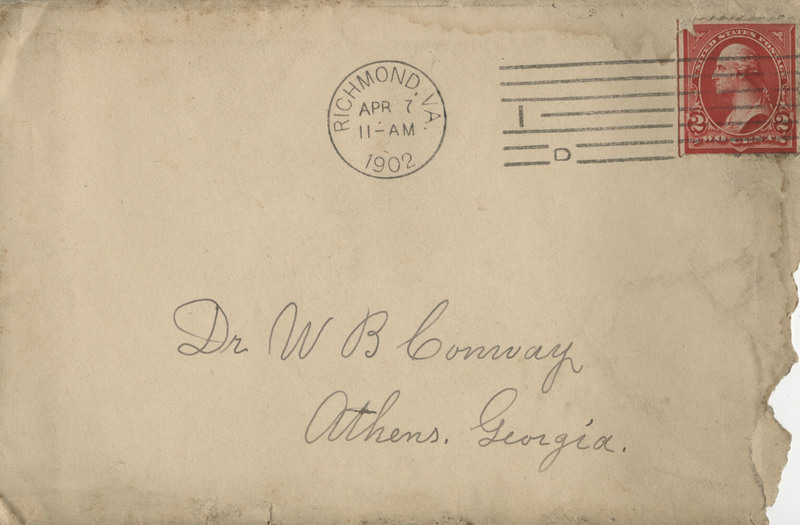 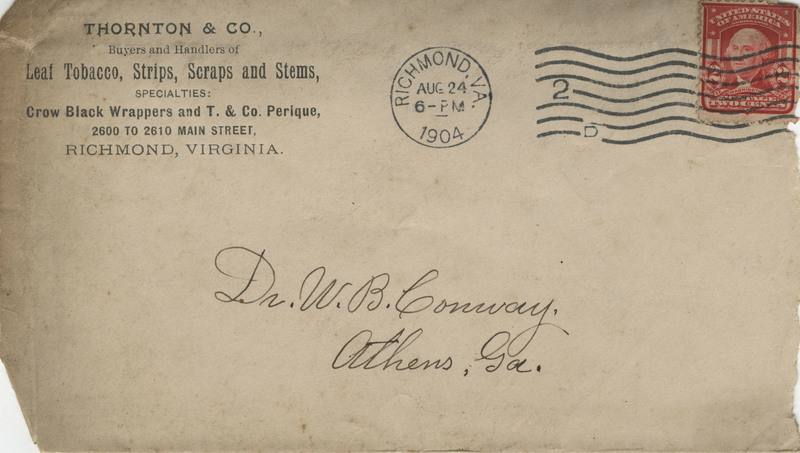 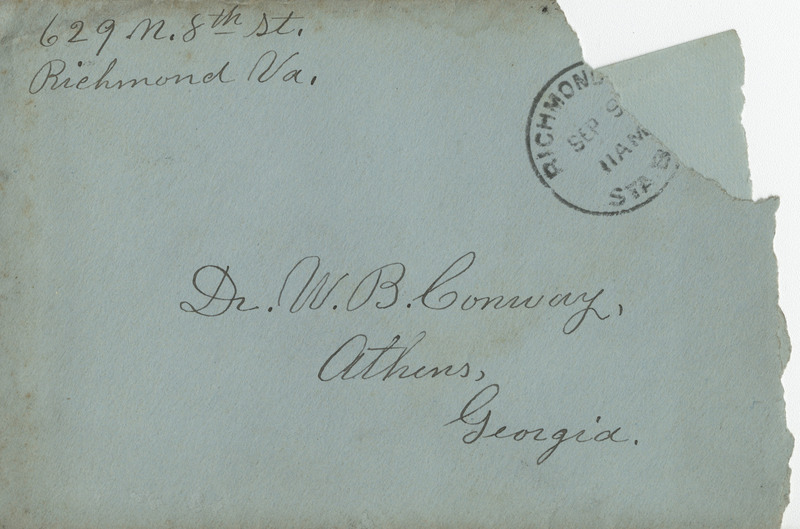 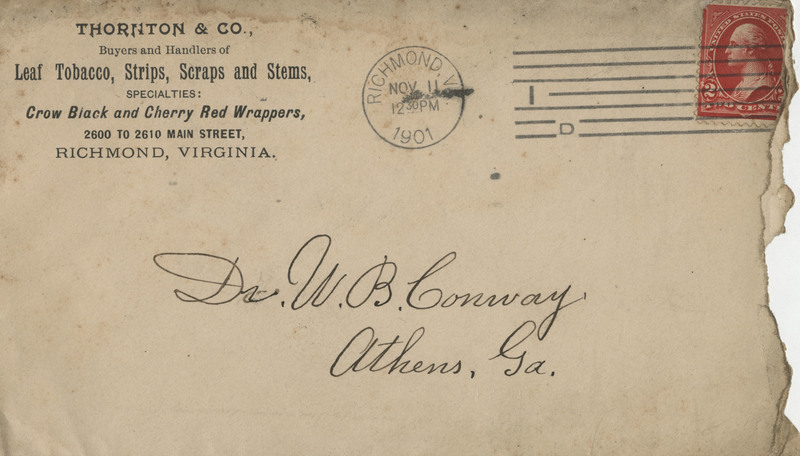 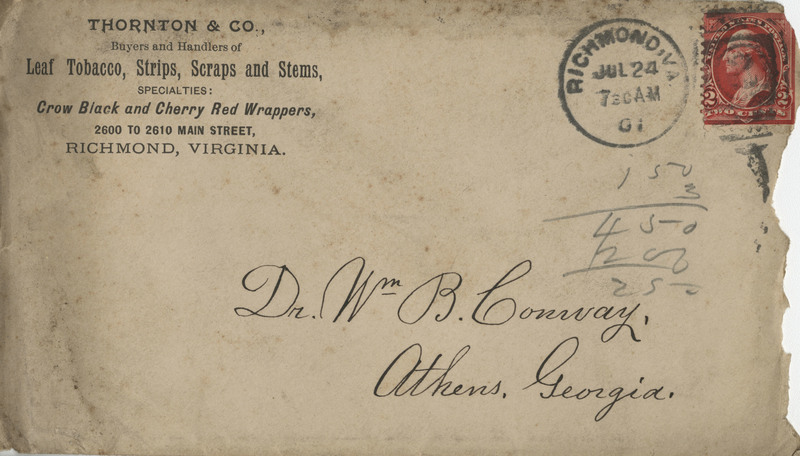 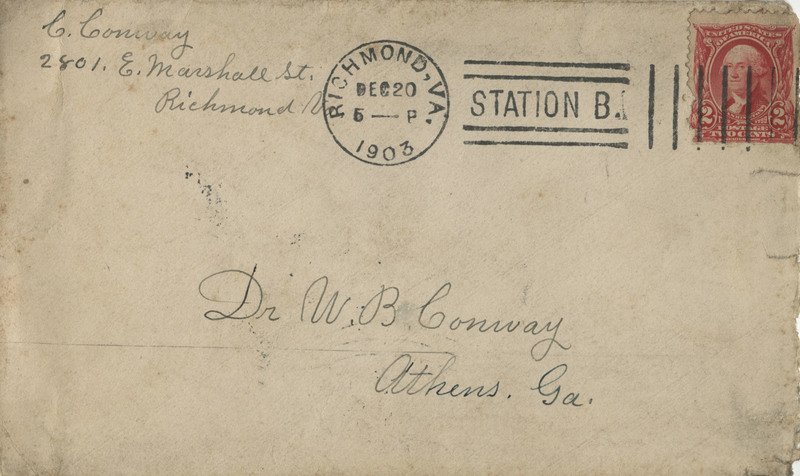 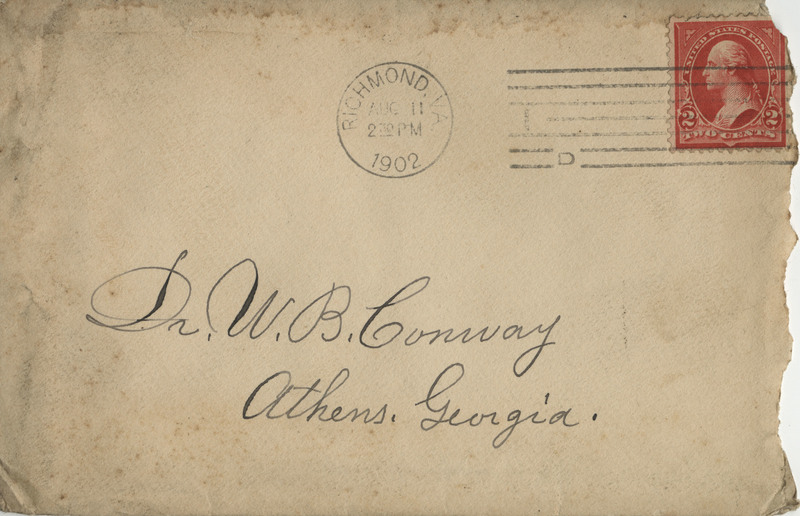 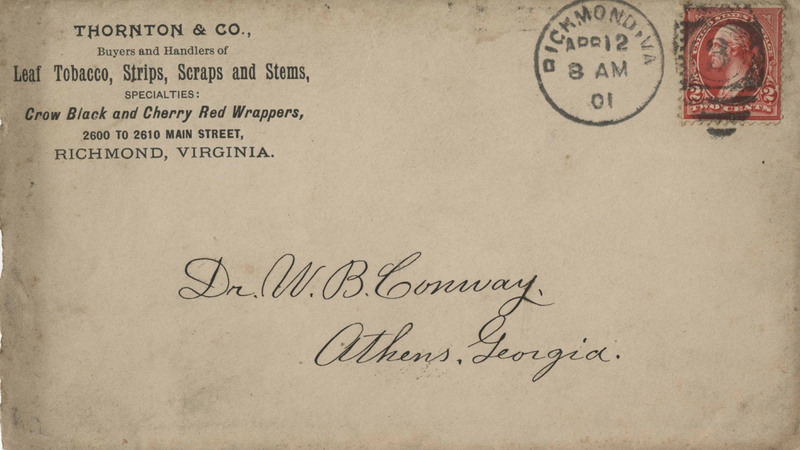 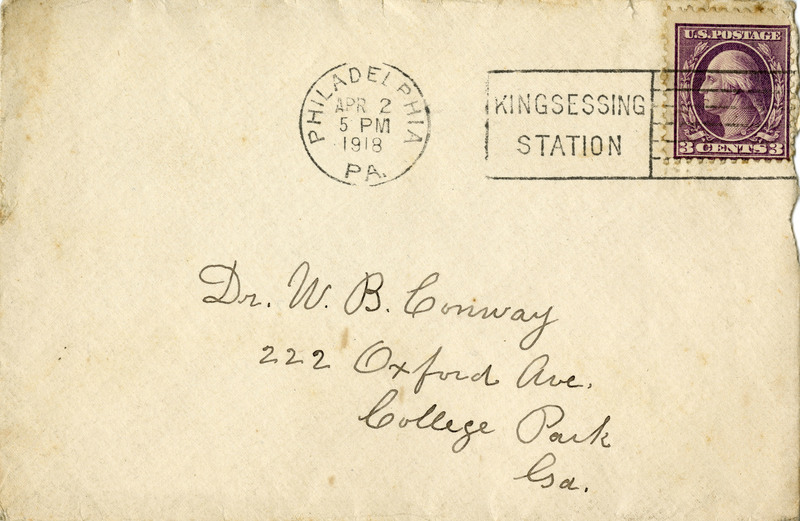 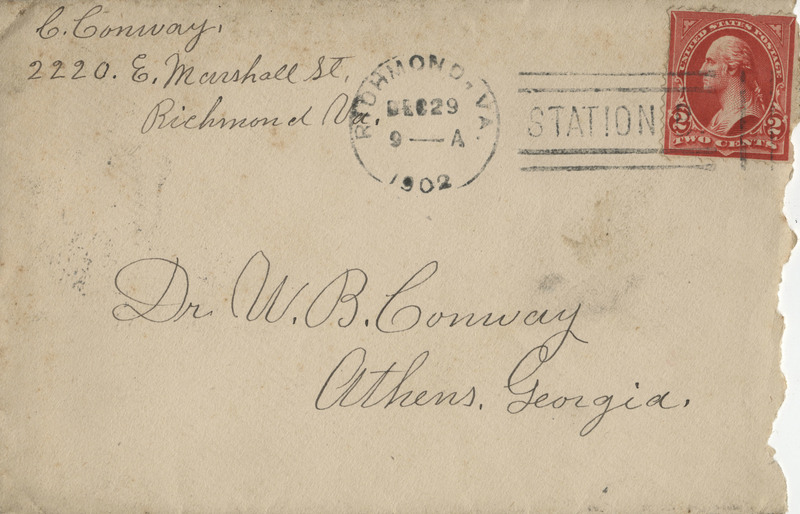 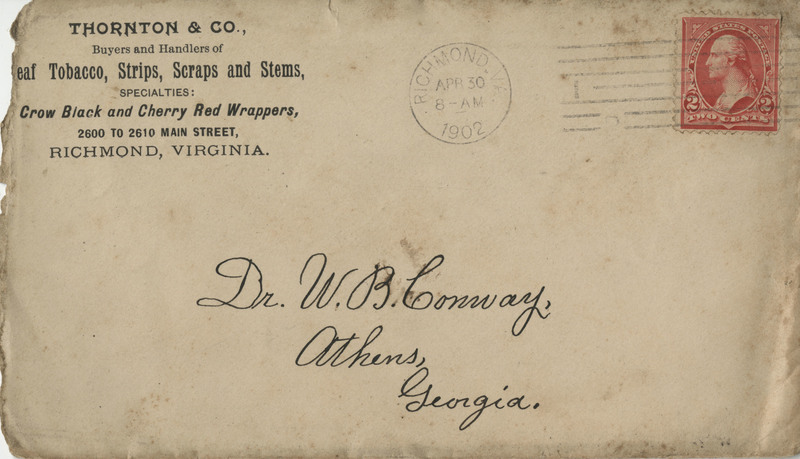 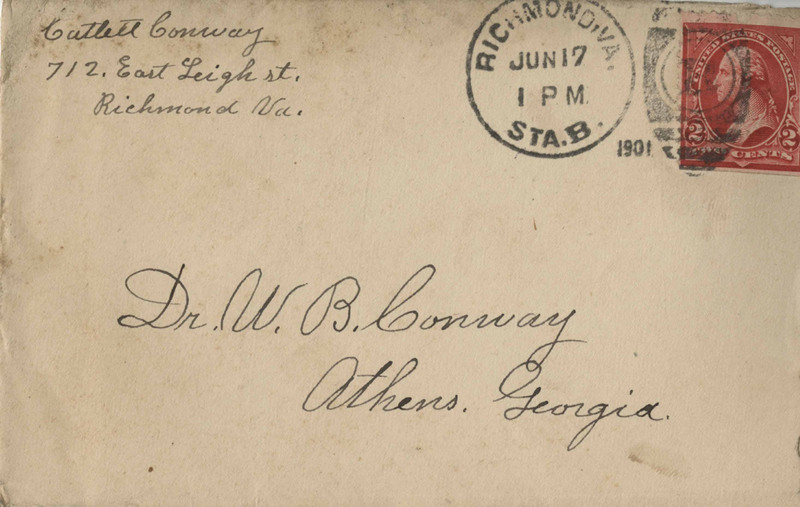 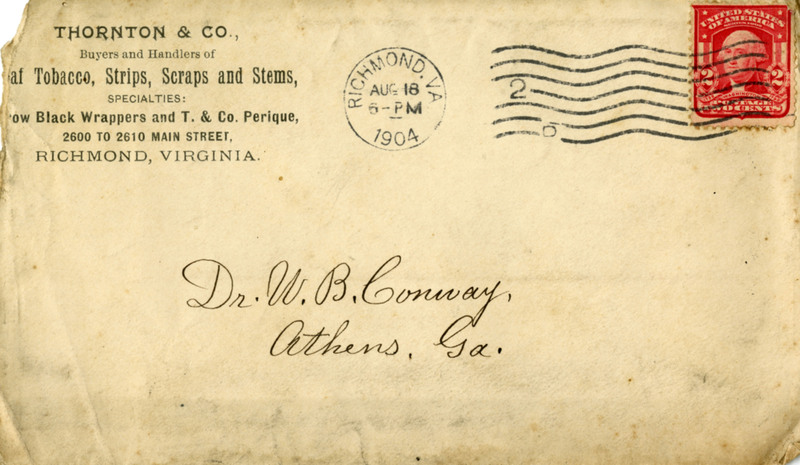 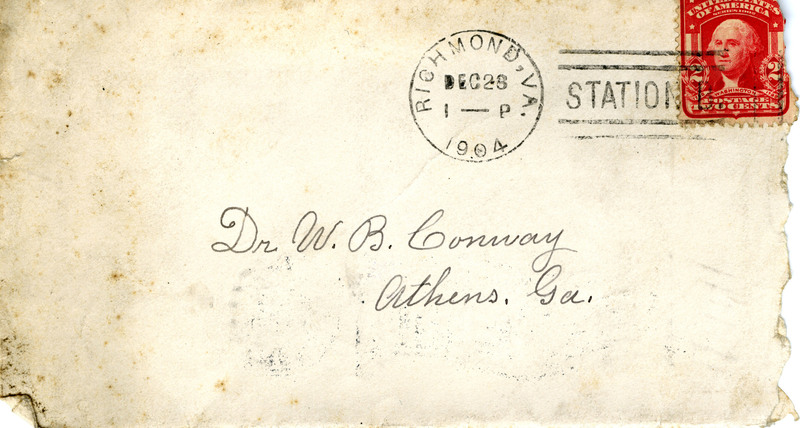 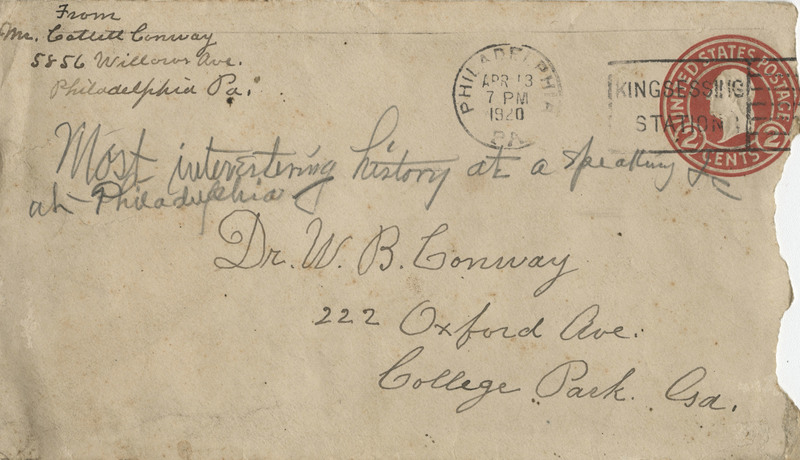 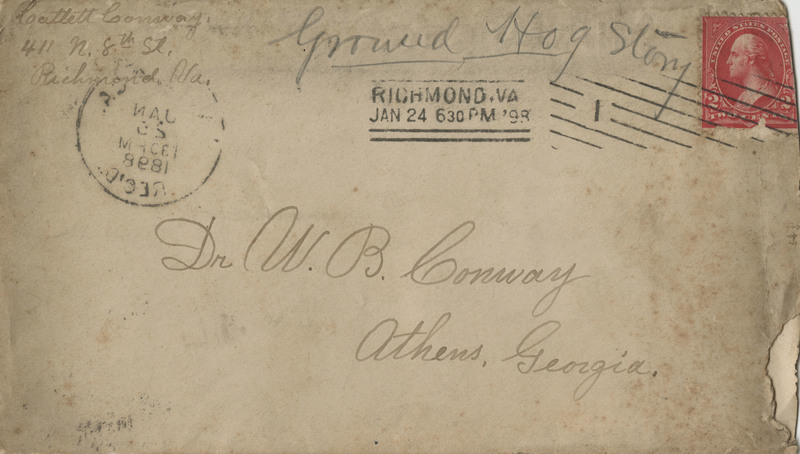 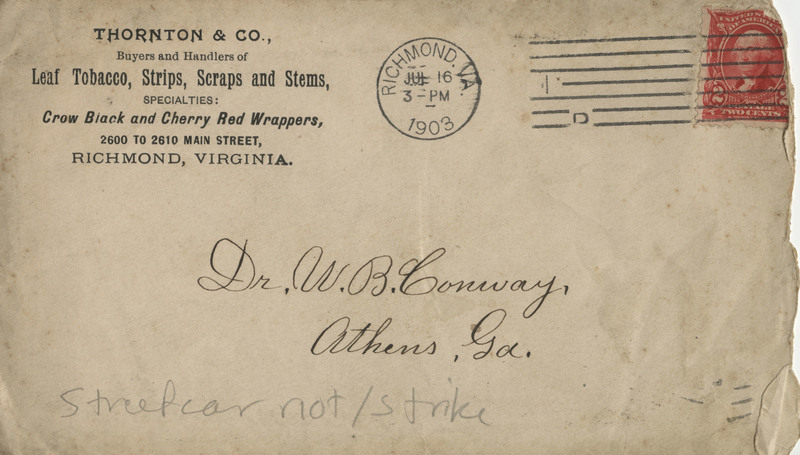 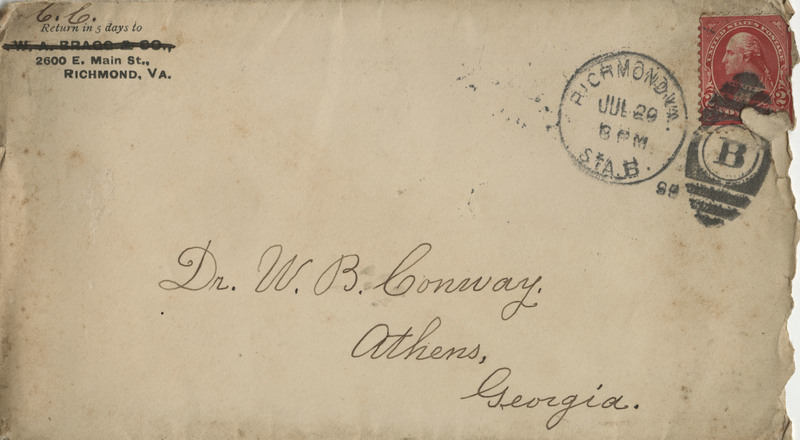 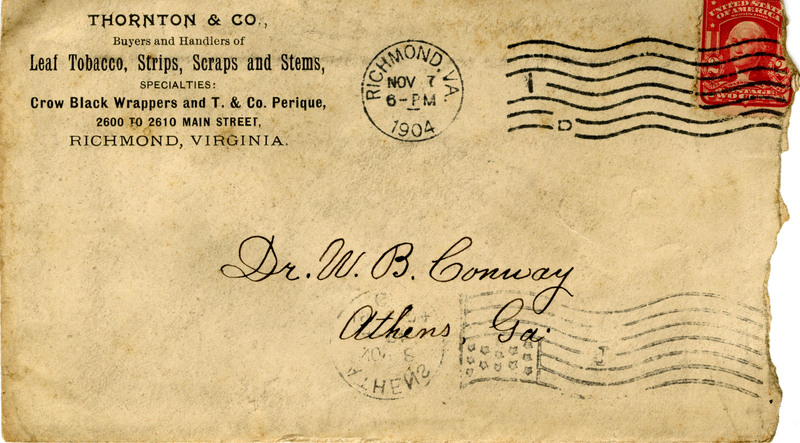 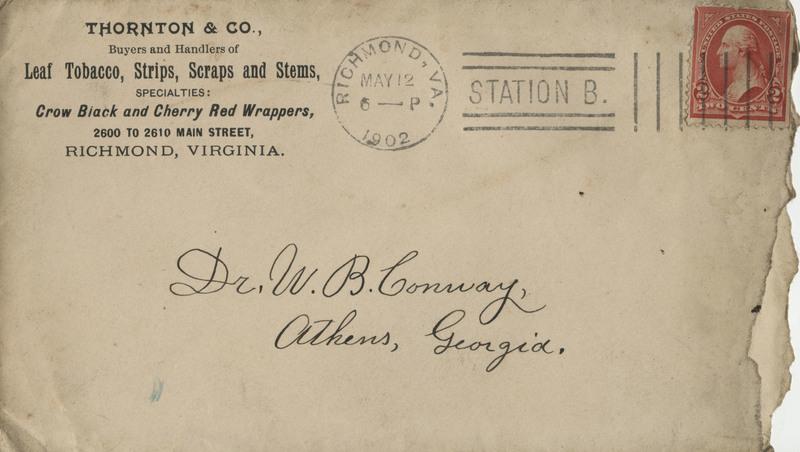 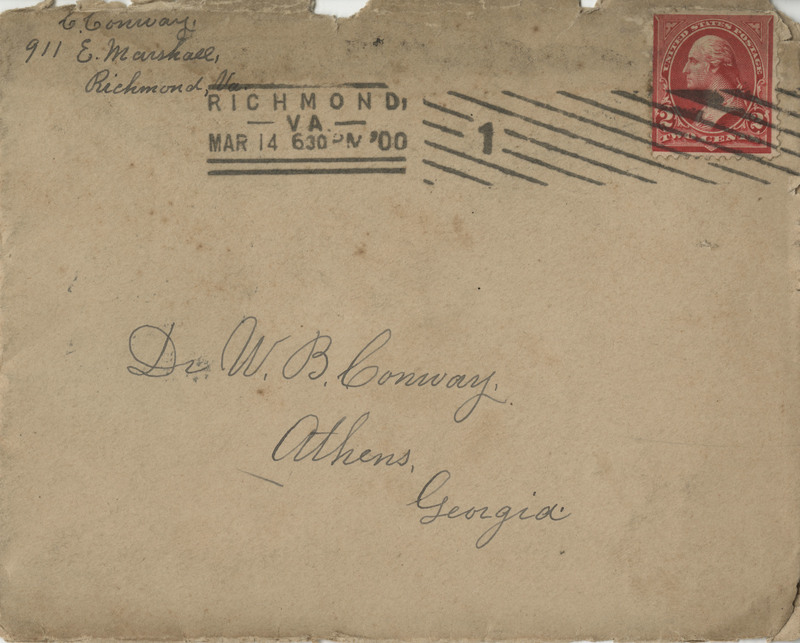 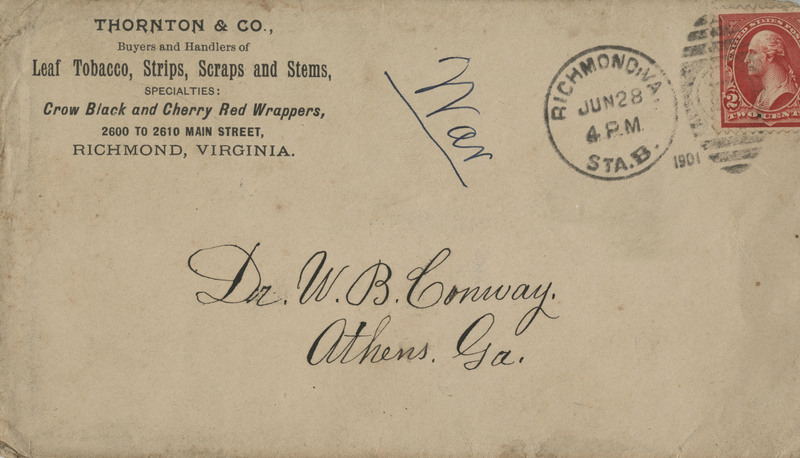 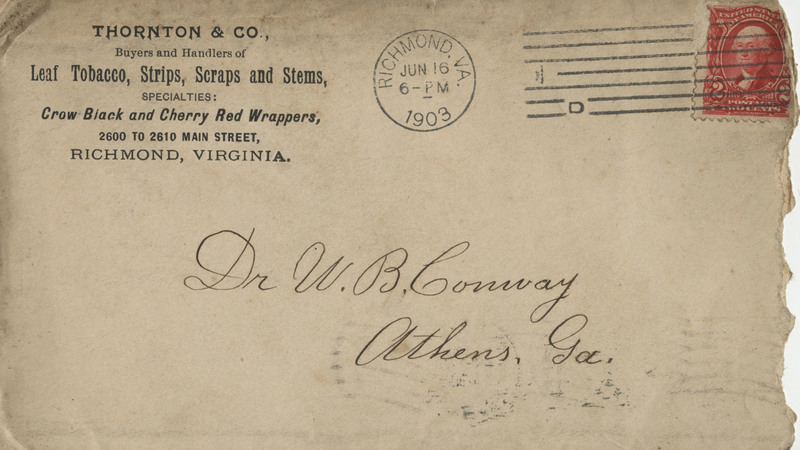 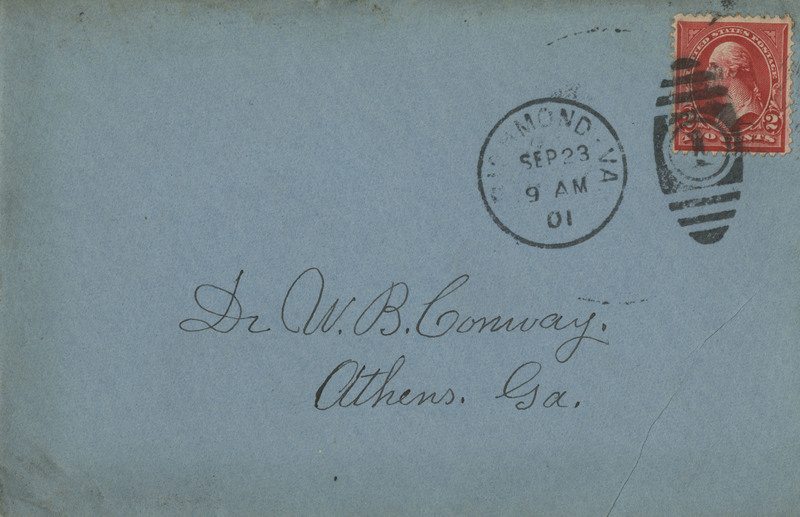 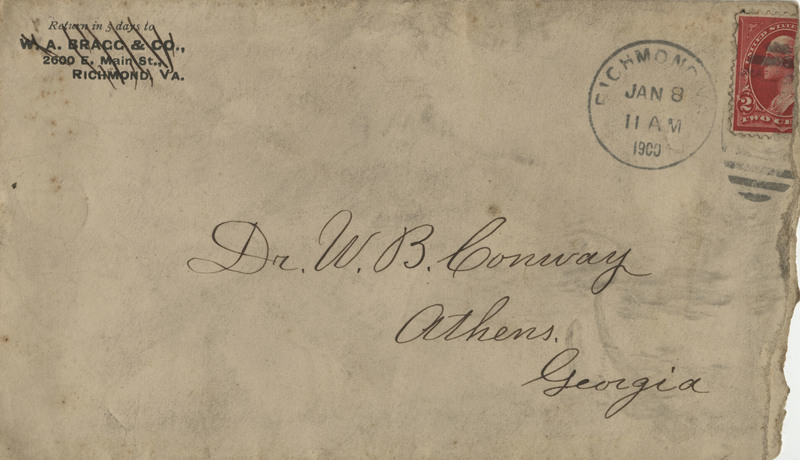 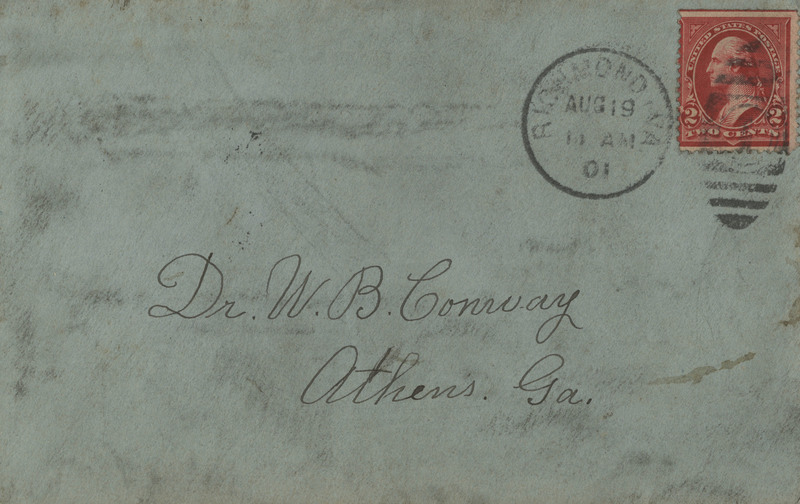 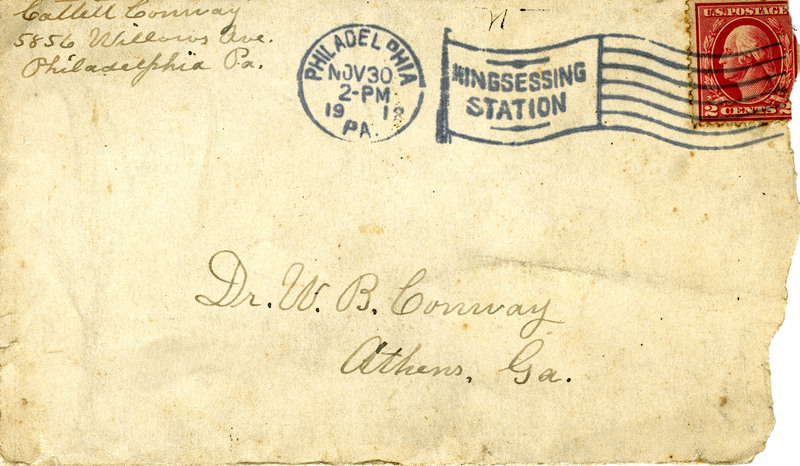 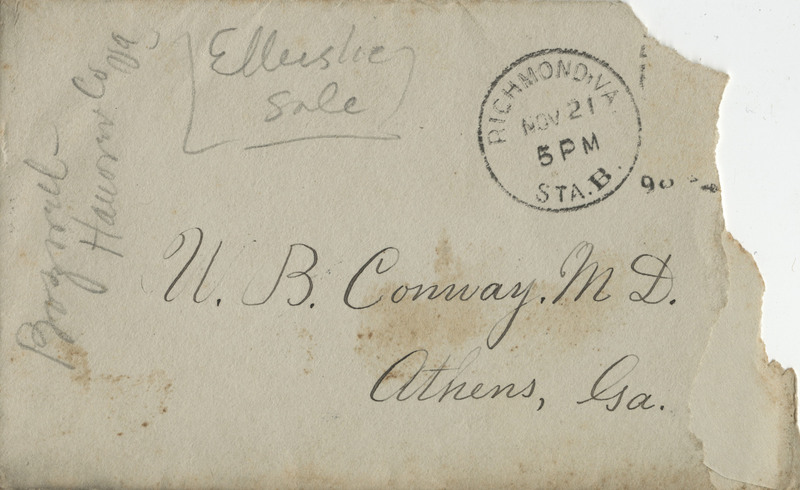 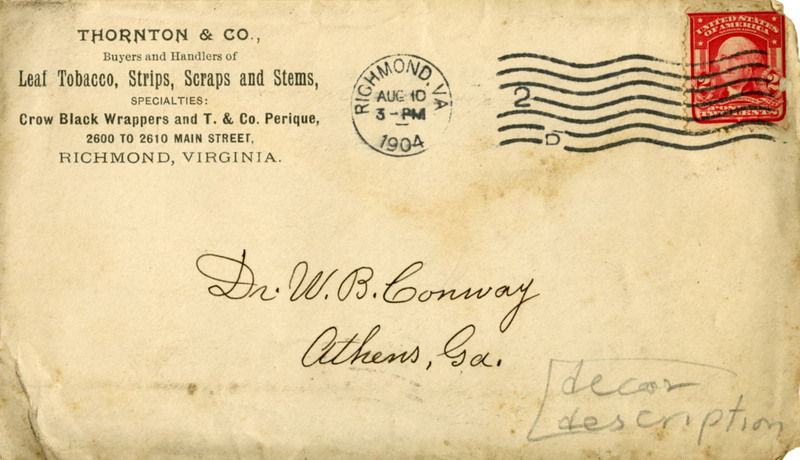 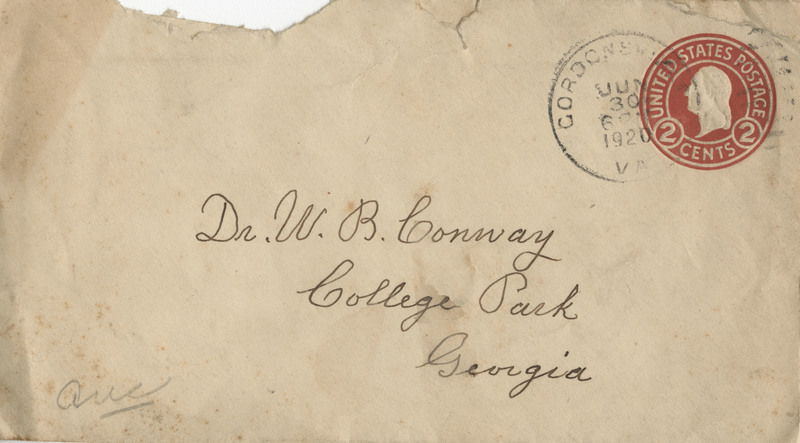 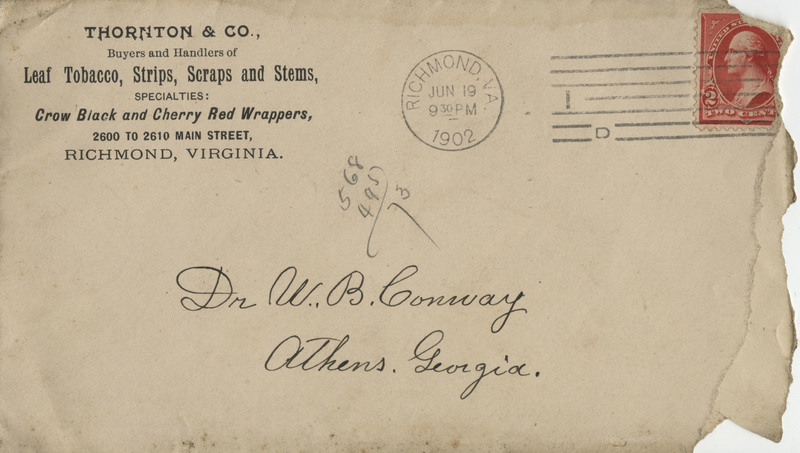 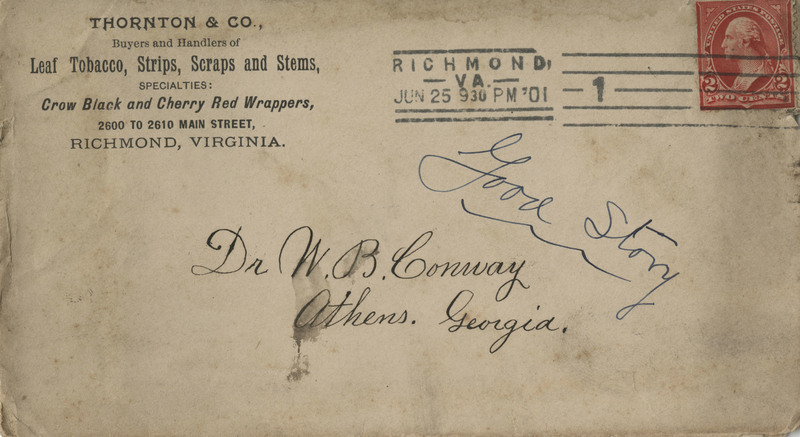 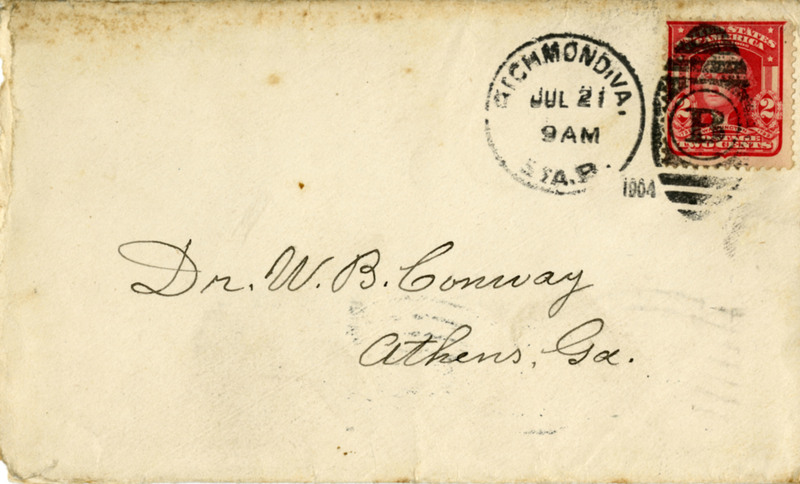 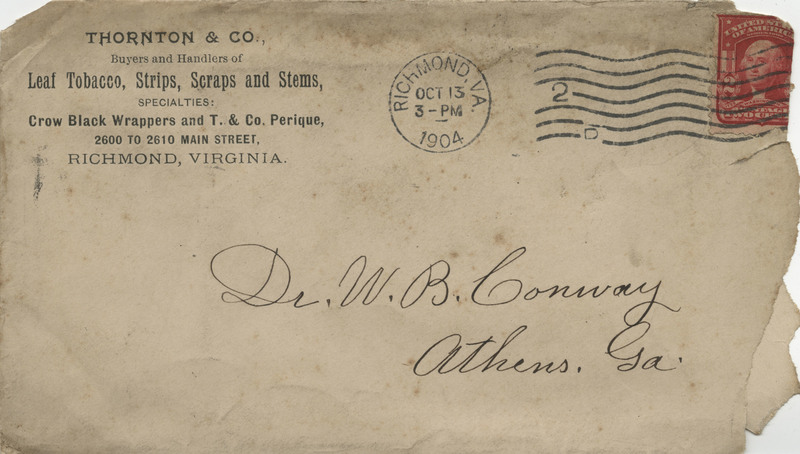 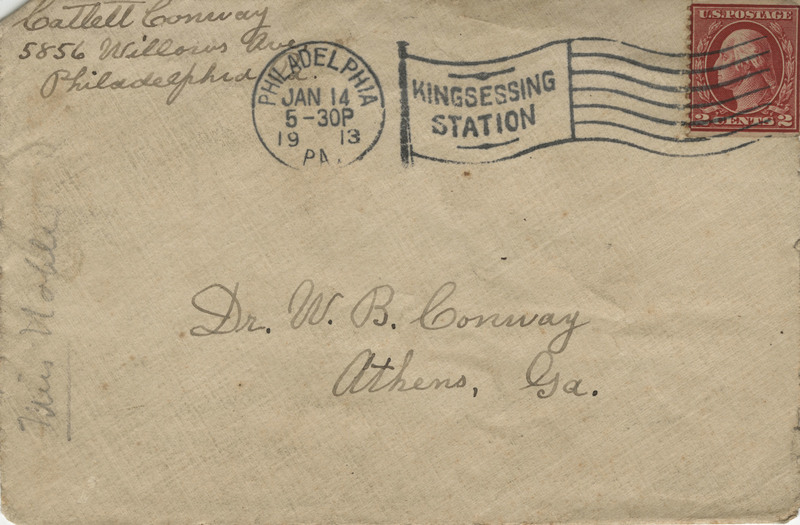 Letter from Catlett Conway to Willie, expressing travel plans and asking about a mystery phone call from Athens, Georgia asking for John Conway. 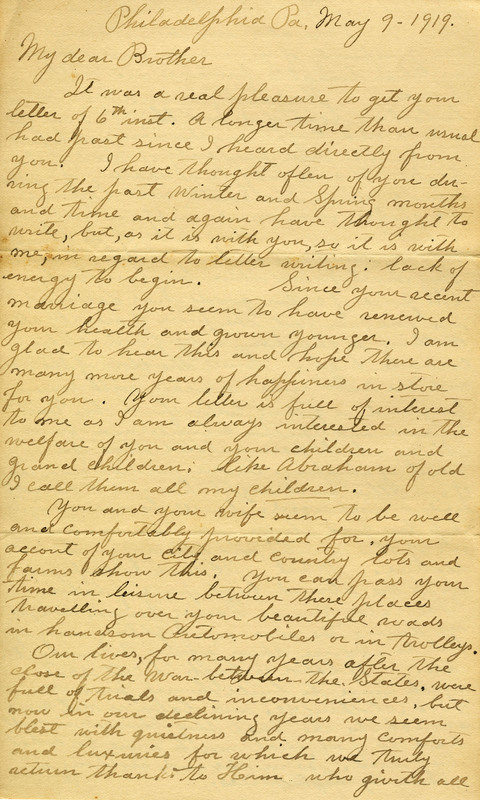 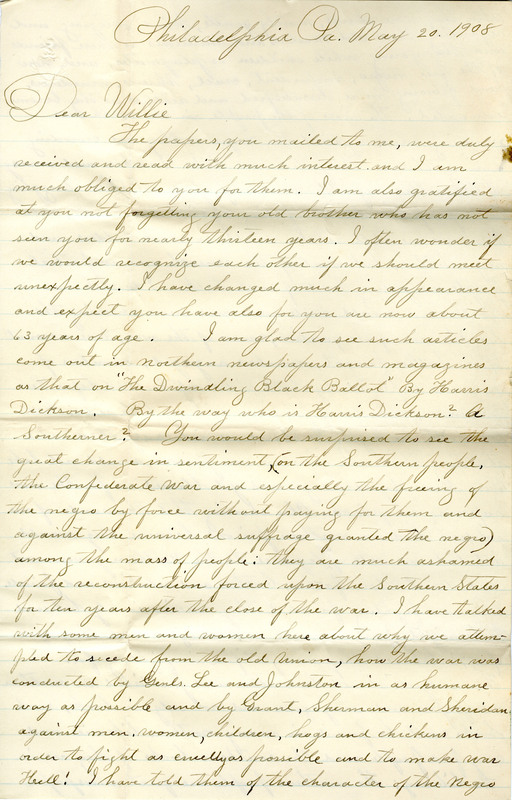 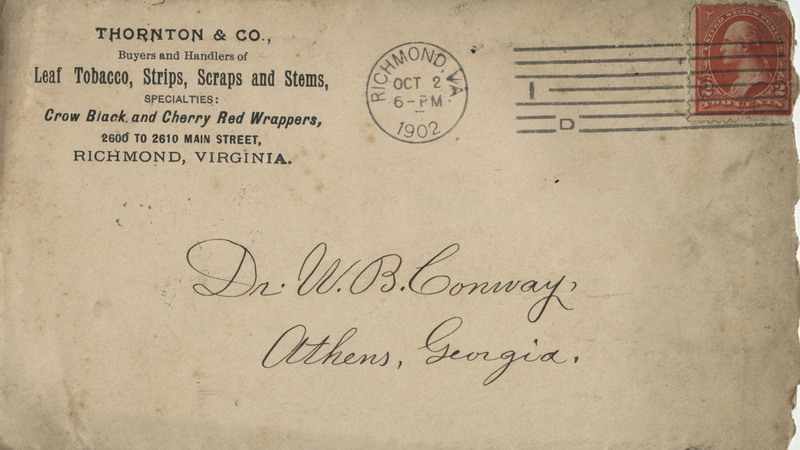 Letter from Catlett Conway to Willie, sharing information about the family and expressing hope for the "prosperity" of the South. 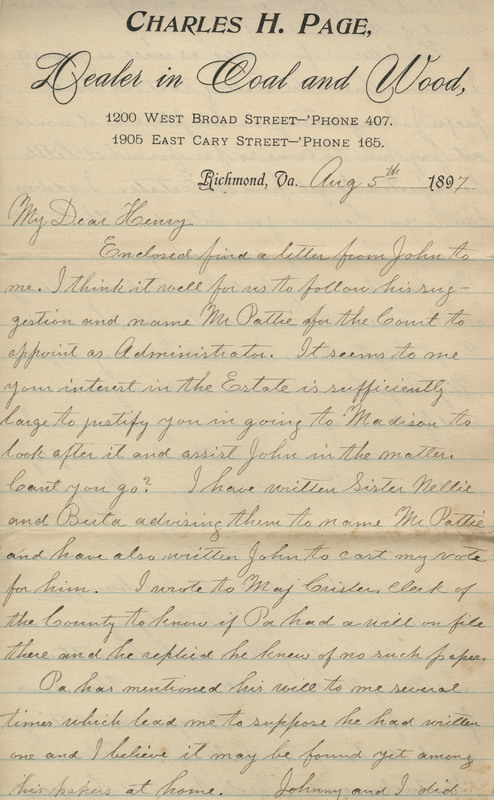 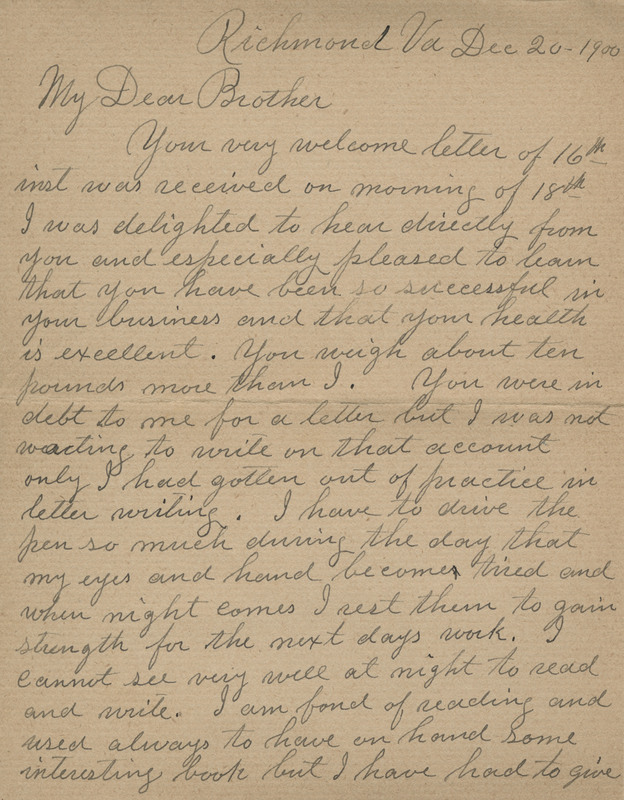 Letter from Catlett Conway to Willie, describing his new boarding situation and bringing Willie up to date on some traveling members of the family. 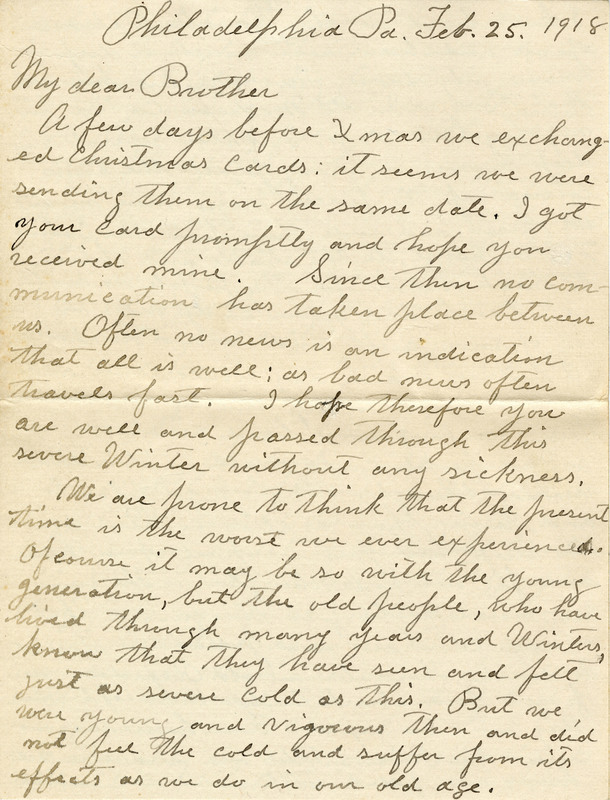 Letter from Catlett Conway to Willie, speaking in anticipation of Willie's future visit and reflecting on family matters.